The Potterhead Running Club, formerly the Hogwarts Running Club, recently launched a very special virtual run event for Potter fans, bringing together several other Potter-inspired charities! 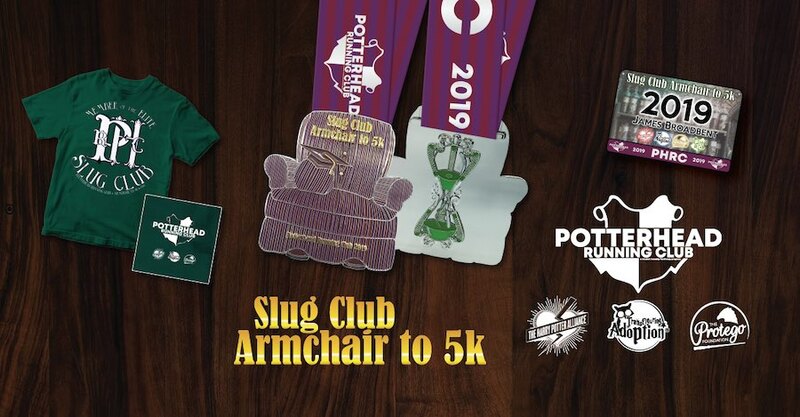 The Slug Club Armchair to 5k global event will see fans run five kilometers for three charities: The Protego Foundation, The Harry Potter Alliance and Transfiguring Adoption, all helping to make the muggle world a more magical place! The Potterhead Running Club aims to change the world “one mile at a time”, and uses the power of online communities to bring together fans to fundraise for charity – as an added bonus, you also get a themed medal, and can order a shirt or download a running bib for the event. The suggested running date will be March 9th, the birthday of Sybill Trelawney, but signing up means you can complete your run whenever, wherever you’d like. 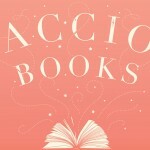 We’re all super excited at The Leaky Cauldron to see our favorite Potter charities banding together – don’t miss your chance to support them in their efforts to do the real-world work of Dumbledore’s Army! 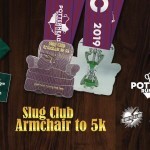 Register for the Slug Club Armchair to 5k here.